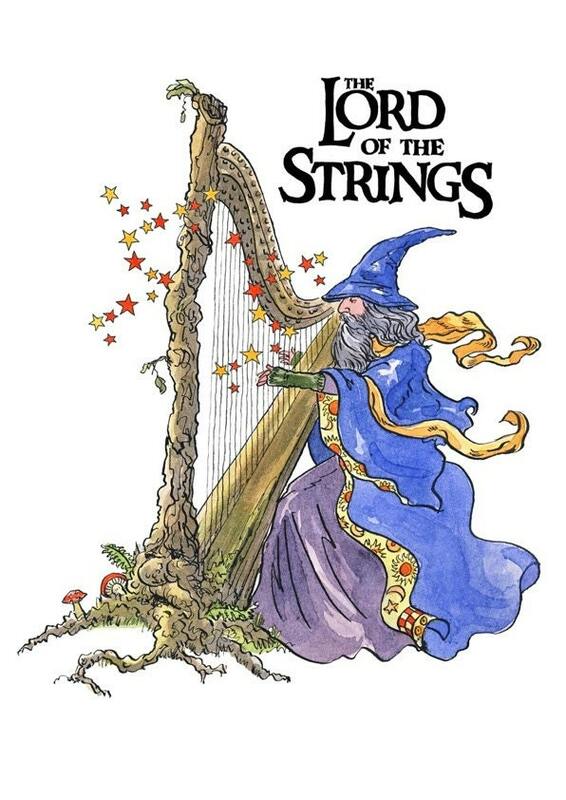 Lord of the Strings ! A unique version of our famous hero playing his harp ! 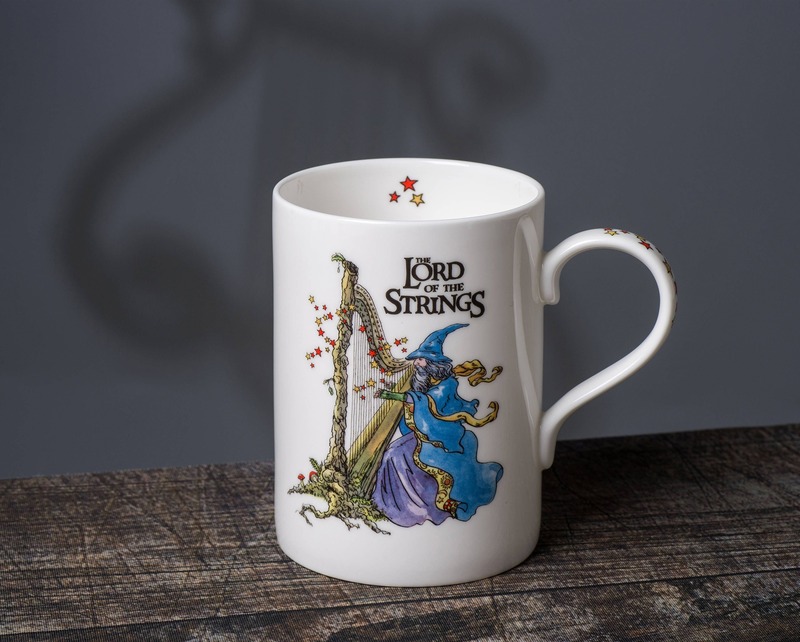 Stunning Harp themed gift mugs made from fine bone China in Staffordshire, England. 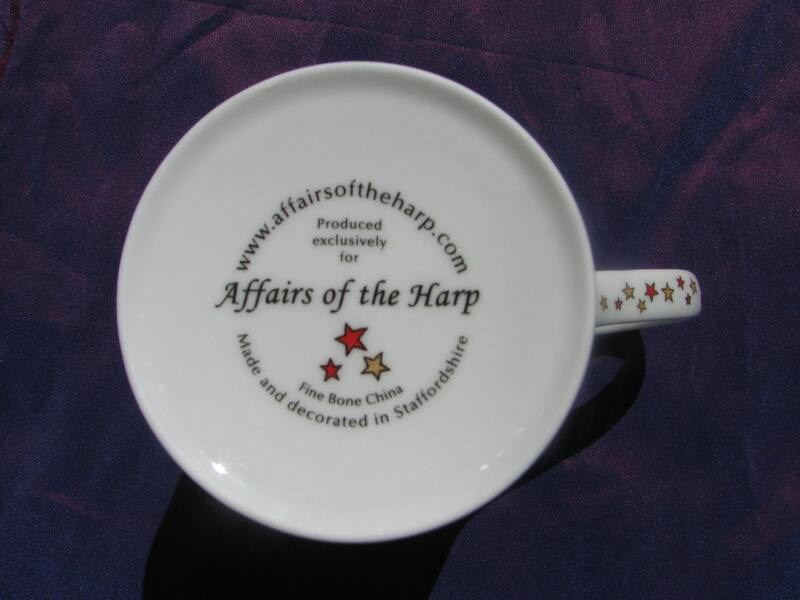 Beautiful art work, specially commissioned by Affairs of the Harp ( my online store specialising in harp themed items) from an award winning artist - making these mugs unique. 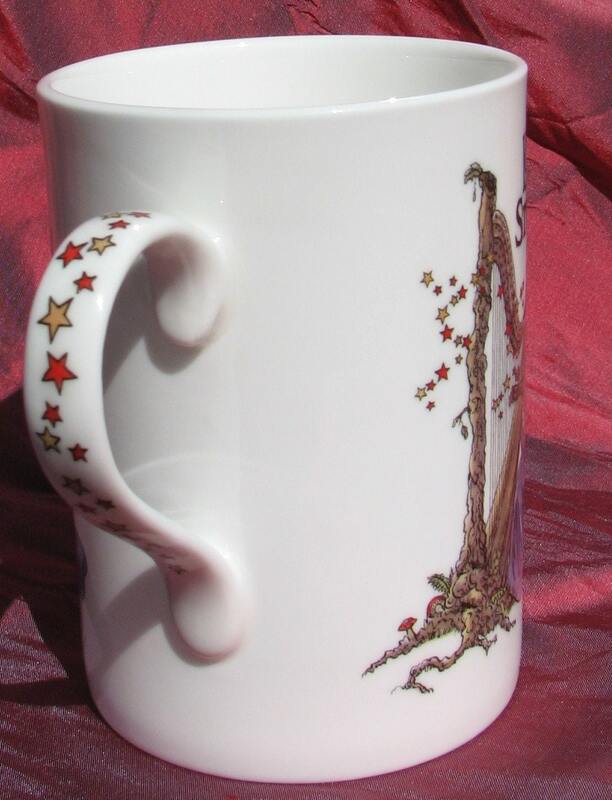 As well as the lovely image on the mug itself, there is the added feature of a decorated handle and a small finishing touch of stars inside the mug's rim. Perfect gifts for family, friends or yourself ! Each mug comes in its own protective gift box. 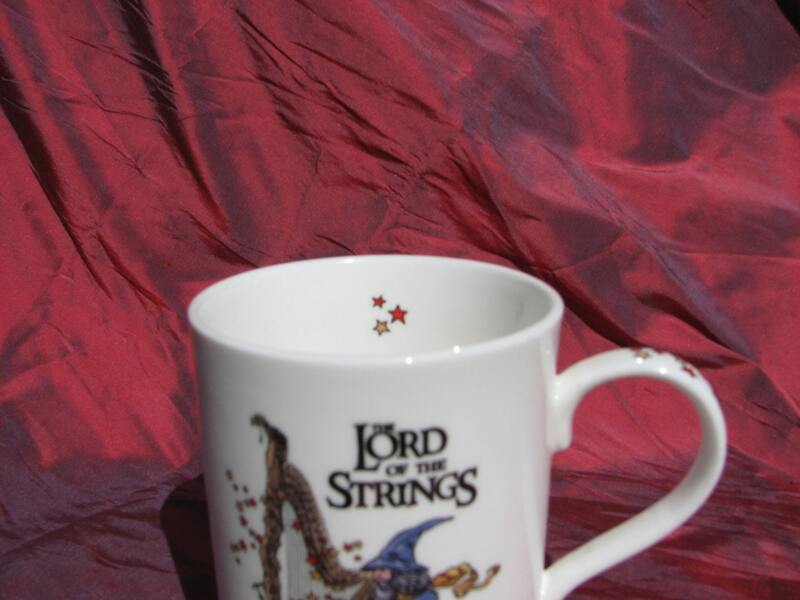 I am so thrilled this beautiful mug became available on Etsy for my dear friend who plays and teaches harp - he loves it! Thank you! Perfect gift to a friend harpist! Exactly as described, beautiful colours, practical as well, gets in the microwave and dishwasher. Exactly as pictured, fast delivery too.